A project management office (PMO) can be broadly defined as a management structure that standardizes project-related tasks within an organization. A PMO facilitates the sharing of resources, methodologies, tools, and techniques among the projects under their guidance or control. For those who are preparing for the CAPM® exam, an understanding of the need for, formation of, and duties of a PMO is essential. · Supportive: These PMOs play a consultative role to projects and assist the project managers by providing templates, updated best practices of project management, training as per requirements, access to available information, and lessons learned from earlier or similar projects. 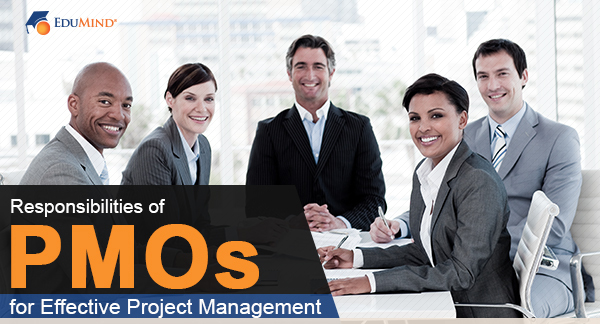 The degree of power and control for these PMOs is considered low. When a PMO’s power is low, project managers have full power to manage projects. · Controlling: The PMOs under this category, apart from providing support to projects as is done in in the supportive role, also seek compliance from project managers on the templates, methodologies, tools, and techniques provided to them. This form of PMO has a little more power than supportive PMOs and can be categorized as having moderate power. In this category, the project manager also has moderate power. · Directive: Directive PMOs have complete control of the projects, which includes organizing and managing the projects. In this role, the PMO acts as a direct liaison for the organization's portfolios, programs, and projects. In this category, the project managers have little or no power in decision making. The importance of a directive PMO is thoroughly discussed in our CAPM exam review course. The parameters involved in the project management function include people, technology, communication, and resources. Unless these functions are governed judiciously, the project management function by senior management can be risky, and therefore, the use of a PMO can be beneficial. Our CAPM exam review course fully recaps the importance of and functions of a PMO.